You know what the world needs? Yet another comic book based on a TV show. 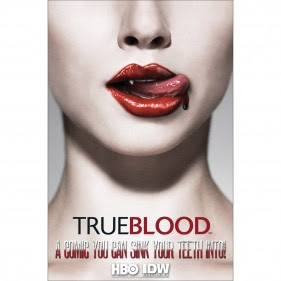 Sorry if I sound less than enthused, but the launch of a new True Blood comic book series is only reminding me how far behind I am on reading and reviewing comics (for the record, very). It doesn't help that I'm not thrilled at what I've read so far about the new six-issue series. The idea of Sookie, Bill, Eric, Sam, Tara, Jason, and Lafayette being trapped at Merlotte's by a vengeful spirit that feeds on shame... meh. Not that I'm not still anxiously waiting for the release and a chance to read it. And hopefully I'll be proven wrong. It definitely doesn't hurt that it's being written by Alan Ball, along with David Tischman and Mariah Huehner (David Messina is the artist). And a pullout gatefold poster in each issue is high on the promising side, as well. 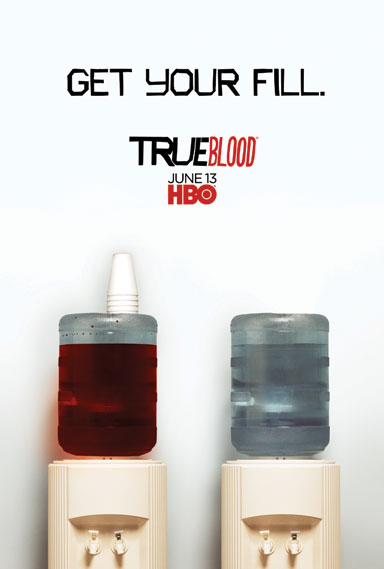 True Blood issue 1 available in July 2010. From HBO and IDW. Pre-order here. Speaking of Alan Ball, if you haven't already seen it, you might like this short video of him talking about the new series. There's one out for Eric too, but since HBO invariably crashes my ancient computer, you're on your own for getting to that one.